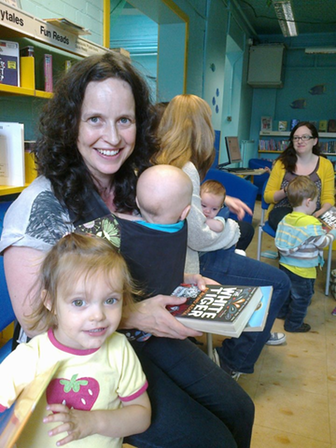 Our local libraries boast an amazing variety of services, with lots on offer for mums, toddlers and school aged children. It couldn't be a better time to check out our libraries! Arts and crafts, help with homework, Pokemon and knitting are just a few of the vast array of special events lined up for visitors to Sutton Central Library. The Wednesday 4-5pm Homework Club for 8-14-year-olds gives youngsters the chance to work on projects, get stuck into a writing challenge or just play a game. While on the same day from 12noon the Chess Club will be hoping to make the right moves and from 3.25-5pm the Knit and Natter Club will be keeping knitters of all abilities in stitches. A full week at the library includes special sessions for babies and toddlers on Tuesdays and Fridays and the under-5s will be given a treat on 28 November when they can get stuck into a creative hour with paper, glue and collage. Thursdays will attract a slightly older crowd when Gamers will gather from 5-8pm to do battle in the Pokemon League and on 1 November a Yu-Gi-Oh tournament will see children aged six and over take each other on in the card game. For those who can only get in at the weekend, Saturdays are busy all day with a craft table offering a selection of activities every week. On 3 November there will be a special Guy Fawkes-themed event and on 17 November there will be a day of activities centred on the popular Magic Pet Shop series written by Holly Webb. Cllr Jill Whitehead, Chair of Sutton’s Environment and Neighbourhoods Committee, said: “Our libraries are vibrant places with activities aimed at residents of all ages and interests. The other libraries in the borough have all got a range of activities on offer. The Pre-School Parent Book Club runs at Carshalton Library once a month and scrabble and bridge players are welcome to special events at Cheam Library. The Library at the Life Centre has a special Book Buddies session for 7-9-year-olds, music fans will enjoy events at Wallington Library and visitors to Worcester Park library can look forward to sessions including a cinema club. To find out more about what each library offers check out our What's On sections or contact them individually.